Wat is dit voor site? Wij zoeken de goedkoopste boeken op internet. Toxic Organic Chemicals in Porous Mediavonden we het goedkoopst op Bol.com voor €138.99. We hebben gezocht in nieuwe en tweedehands boeken. Rechtsonderaan de pagina kan je het boek direct bestellen	via Bol	.com. 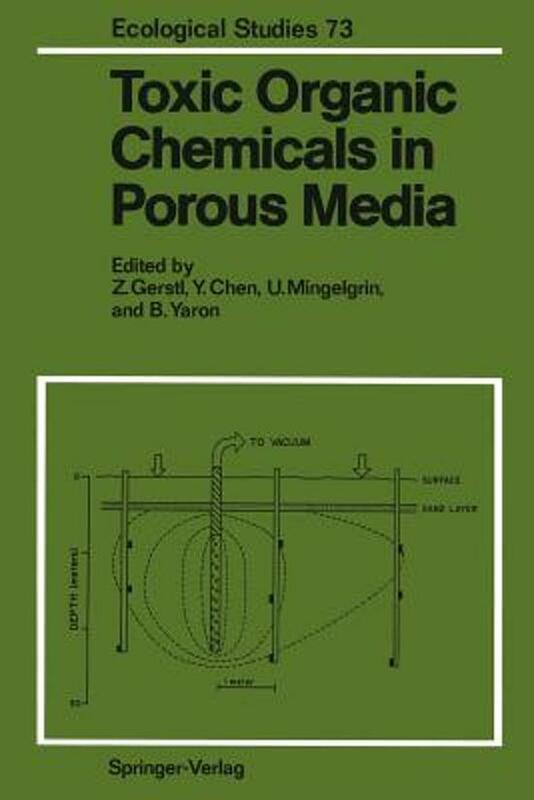 In March, 1983 a workshop on Pollutants in Porous Media was hosted by the Institute of Soils and Water of the Agricultural Research Organi­ zation in Bet Dagan, Israel. At this workshop, the unsaturated zone be­ tween the soil surface and groundwater was the focal point of discus­ sions for scientists from various disciplines such as soil chemists, physicists, biologists and environmental engineers. Since then, the prob­ lem of soil and water pollution has only worsened as more and more cases of pollution caused by human activities including agriculture and industry have been revealed. A great deal of work has been carried out by environmental scientists since 1983 in elucidating the behavior of the many classes of pollutants and the complex physical, chemical, and bio­ logical transformations which they undergo as they move through the soil to the vadose zone and, in many cases, the groundwater. In light of this, it was felt that another meeting of specialists from the many disciplines which deal with this subject was necessary and so a Second International Workshop on the Behavior of Pollutants in Porous Media, sponsored by IUPAC (the International Union of Pure and Applied Chemistry) and IAHS (the International Association of Hydrological Sciences), was organized and held in the Institute of Soils and Water of the Agricultural Research Organization in Bet Dagan, Israel during 1987. June, The present volume is a selection of the talks presented at this second workshop and deals only with toxic organic chemicals in porous media.